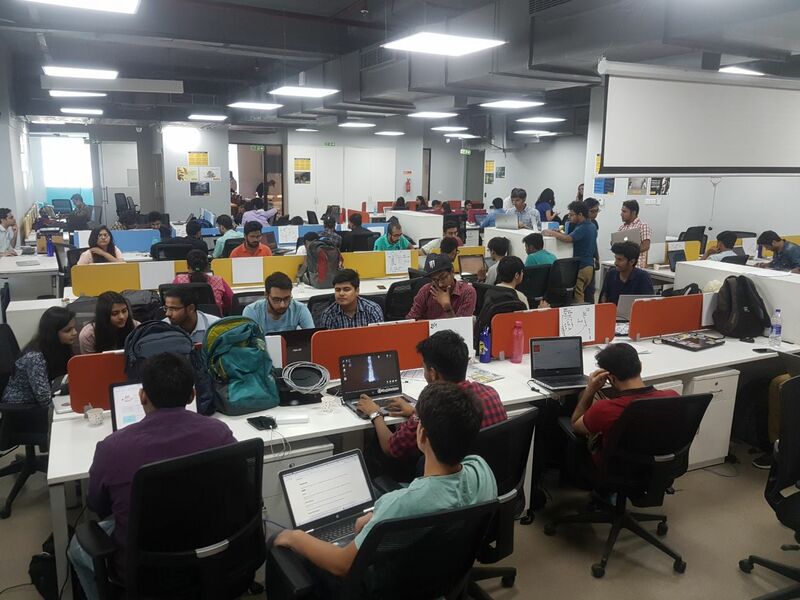 This time the meetup was at Knowlarity, Ambience Mall, Gurugram. It began with everybody giving a brief introduction about their selves. And Sanyam started the introductory session of what is a Dev sprint? During Dev sprint, Mentors/Contributors of Open source projects guides participants from generating development build to submit a patch for a bug. It is best opportunity to experience the culture of Open source contribution. People from newbie to experienced together contribute to project. During the session, if you are stuck you can solve your confusions instantly by discussing with mentors. Ambarish Gupta, CEO Knowlarity, also introduced himself and the company. After the introductory session, everyone chose their project in which they wanted to contribute and the dev sprint started. But there were a bunch of students who were unfamiliar with Git and Github, so Priyank took the initiative to teach git/github to those students. The environment was full of zeal. Half way through the devsprint it was lunch time and Knowlarity had very generously sponsored lunch for all of us. Soon after lunch, everyone was back to their work. Before hiring and pitching session, there was an inspirational talk by Ajay Shrivastava, CTO Knowlarity, with a closing remark "Work smart AND work hard. There is never a choice between the two. After all, it took Messi 17 years and 114 days to become an overnight success!". After his talk was hiring and pitching session. Anybody who’s looking for a job, want to hire someone, want a mentor, want to work on a project, etc. can just simply come on and let everybody know about it. If there’s somebody who’s interested in any participants pitch, can contact them directly. So that was all for the day. 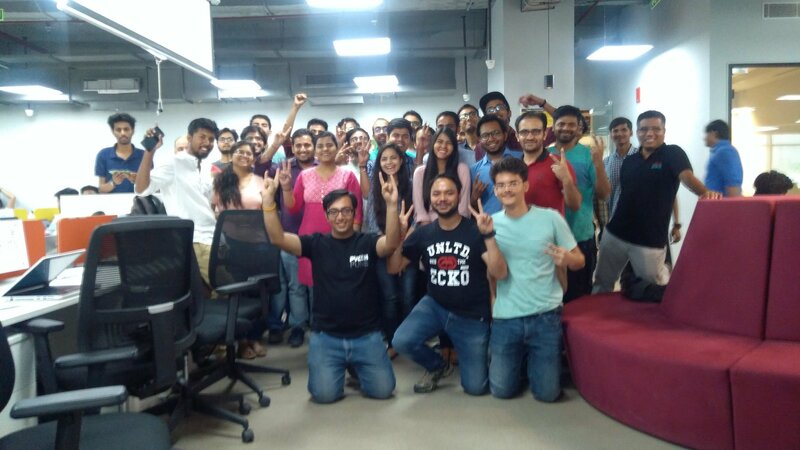 Devsprint concluded with 11 Issues, 5 Pull requests and lots of swag from Pydelhi and Github successfully. I hope you have enjoyed it and would join us at the next meetup.